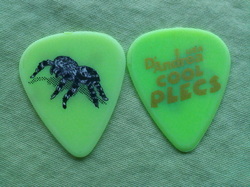 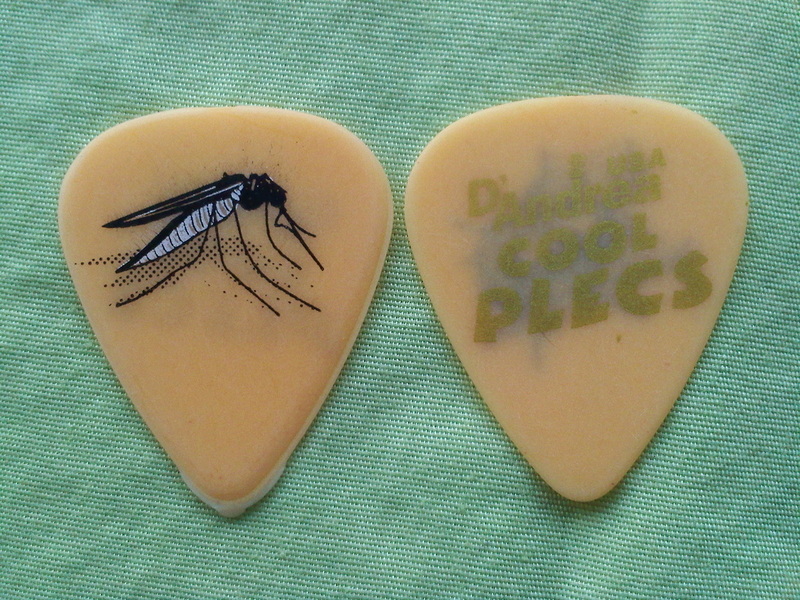 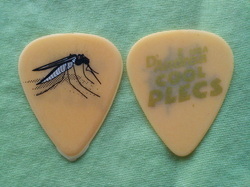 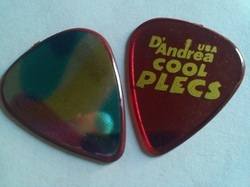 On a personal note: Cool Plecs are amongst my favorite pieces to collect. 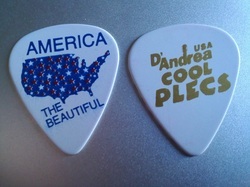 They are gorgeous to look at and a delight to own! 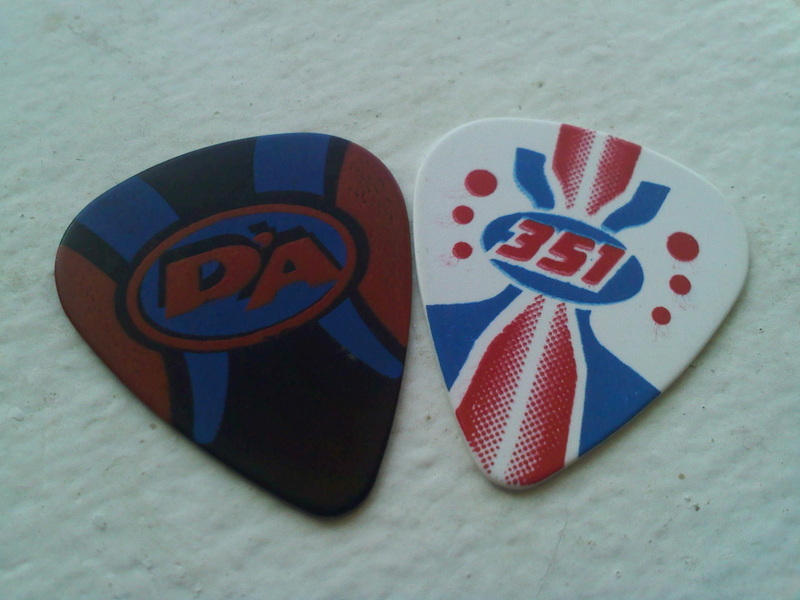 I am ALWAYS surprised at the vast variety of them available in the past. And I continue to spot and add designs I've never seen before, to my collection. 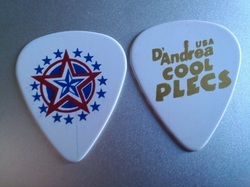 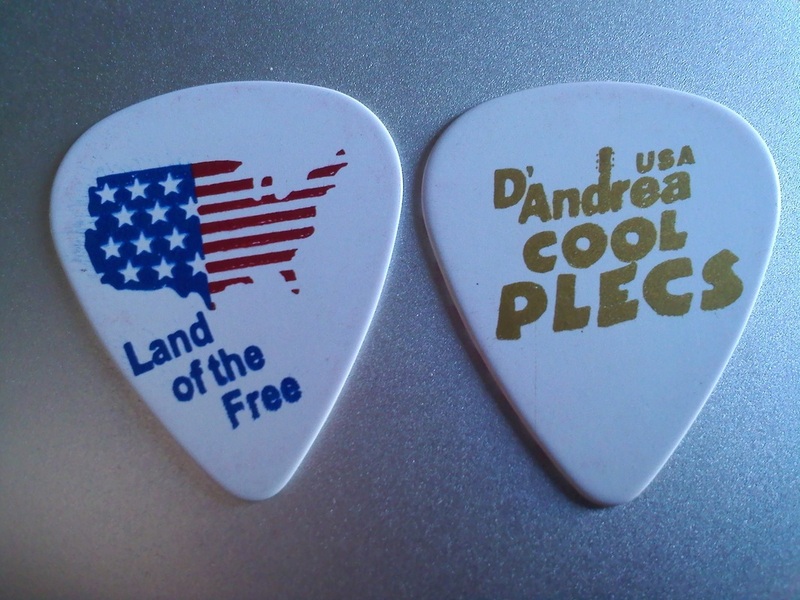 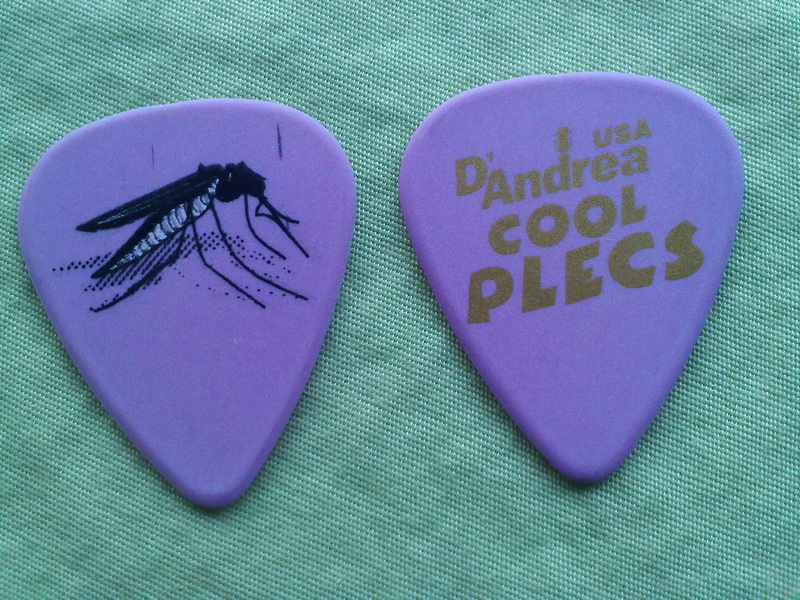 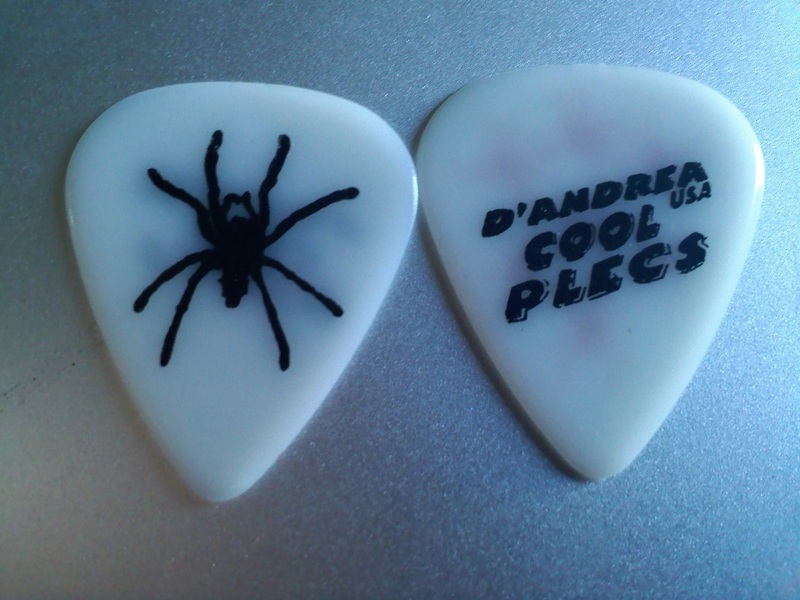 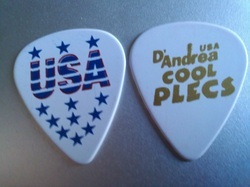 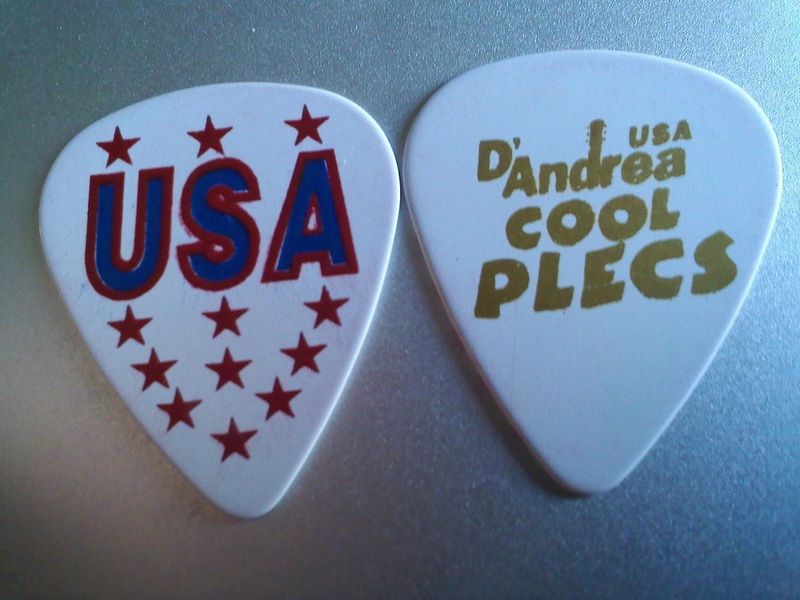 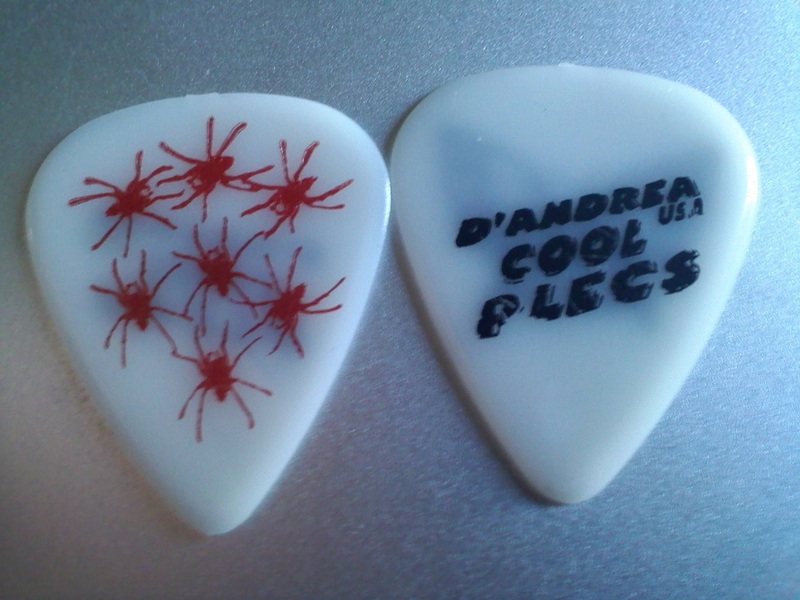 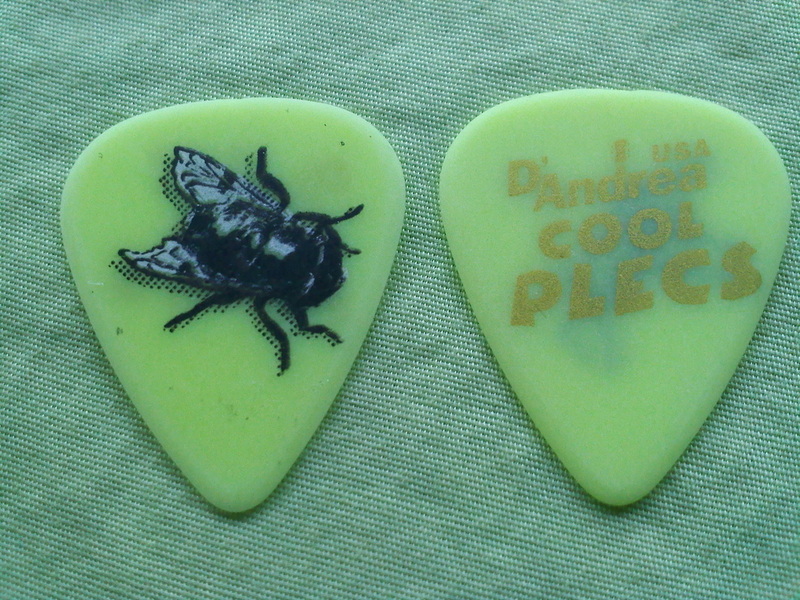 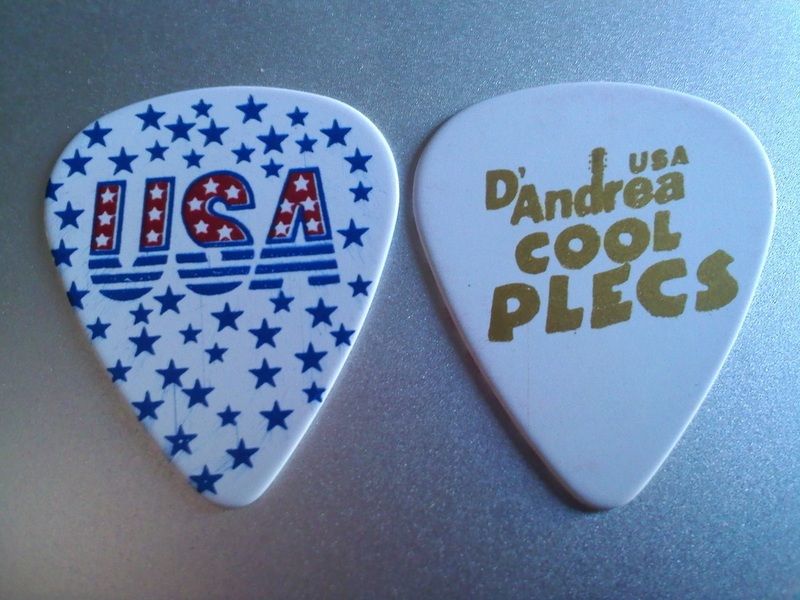 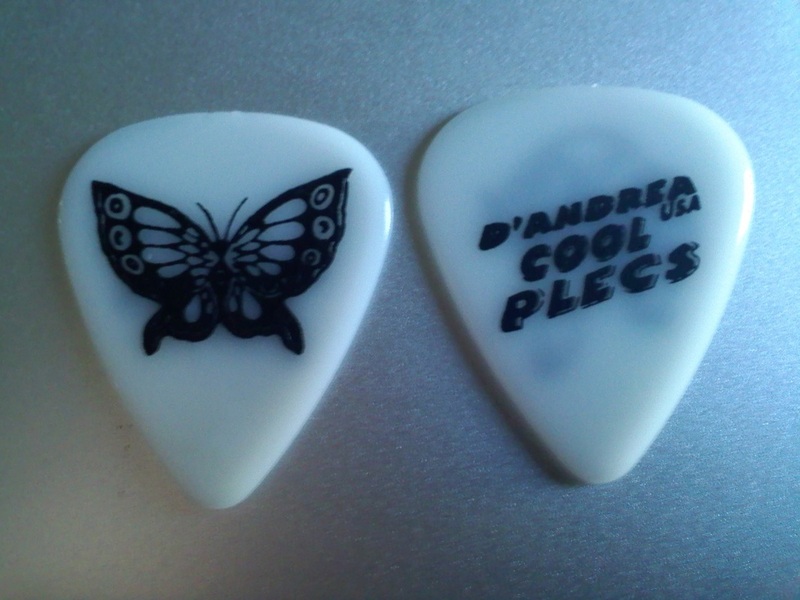 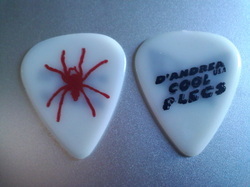 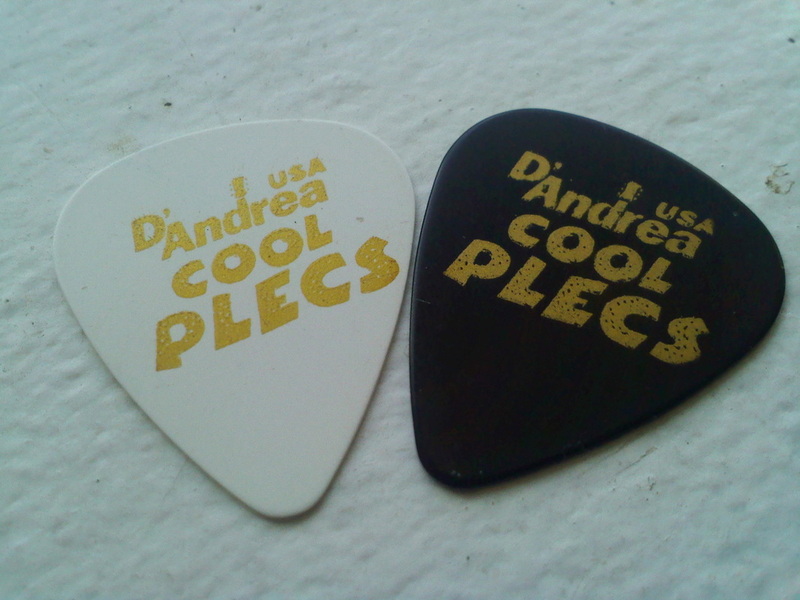 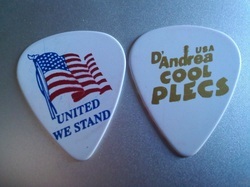 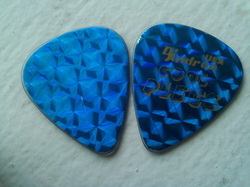 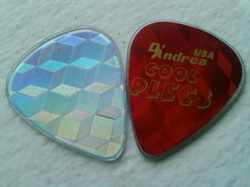 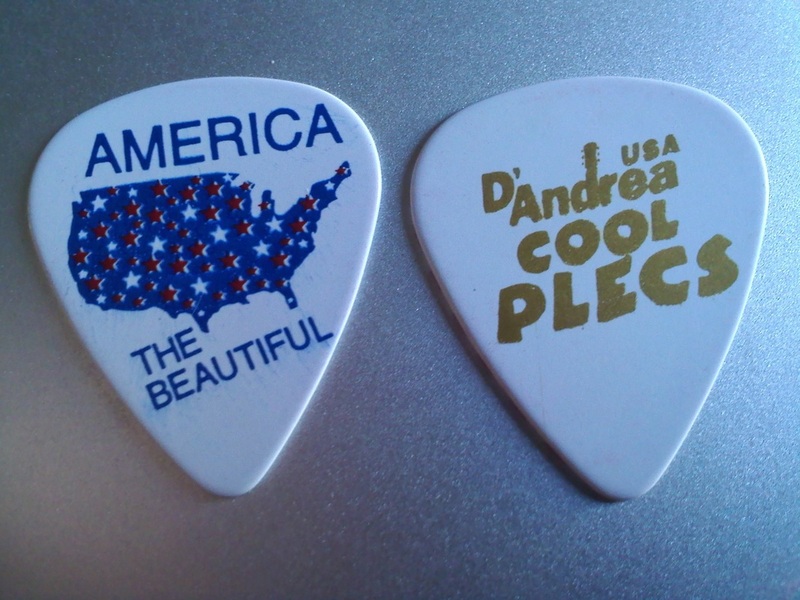 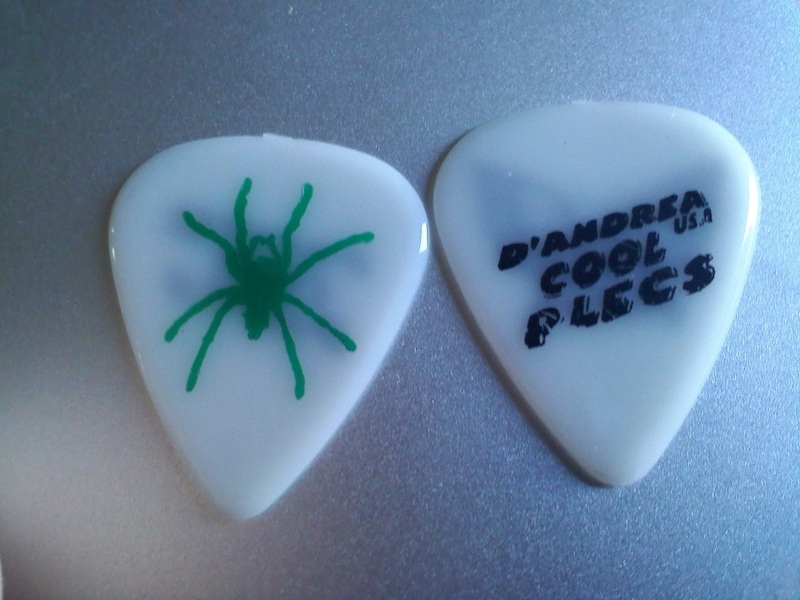 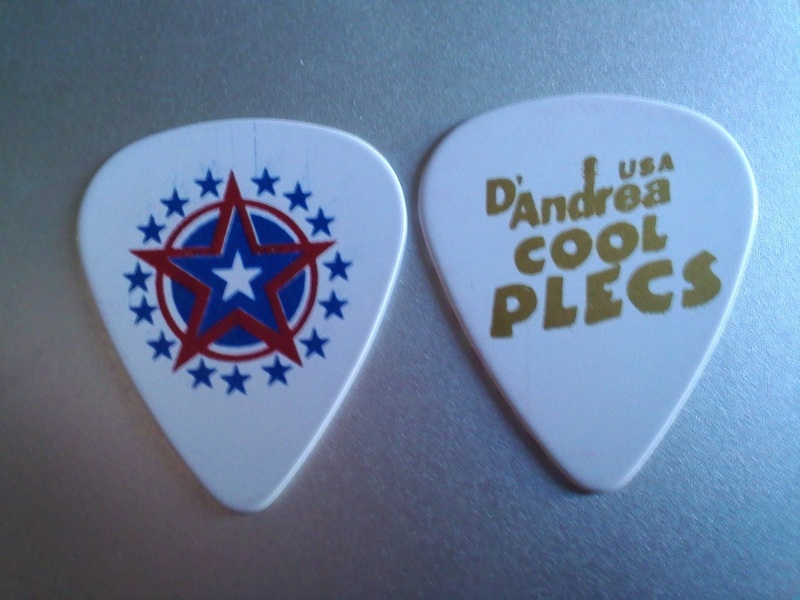 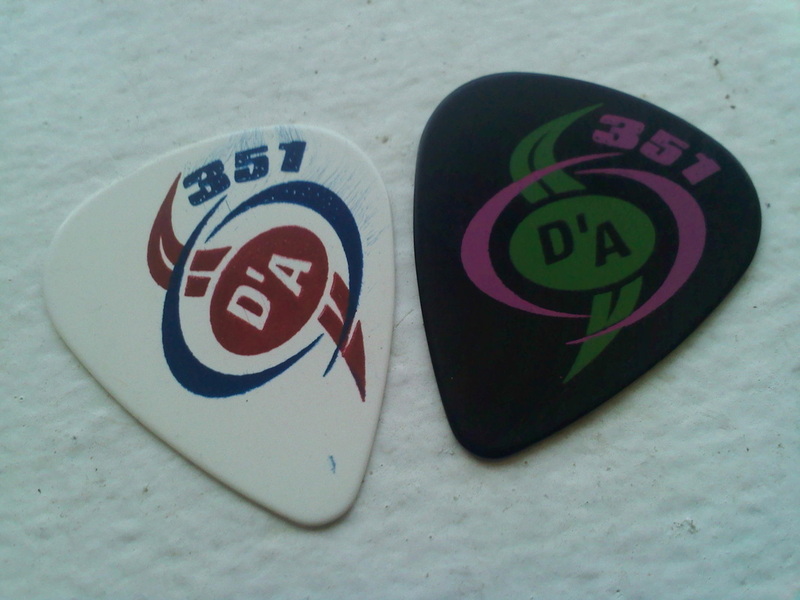 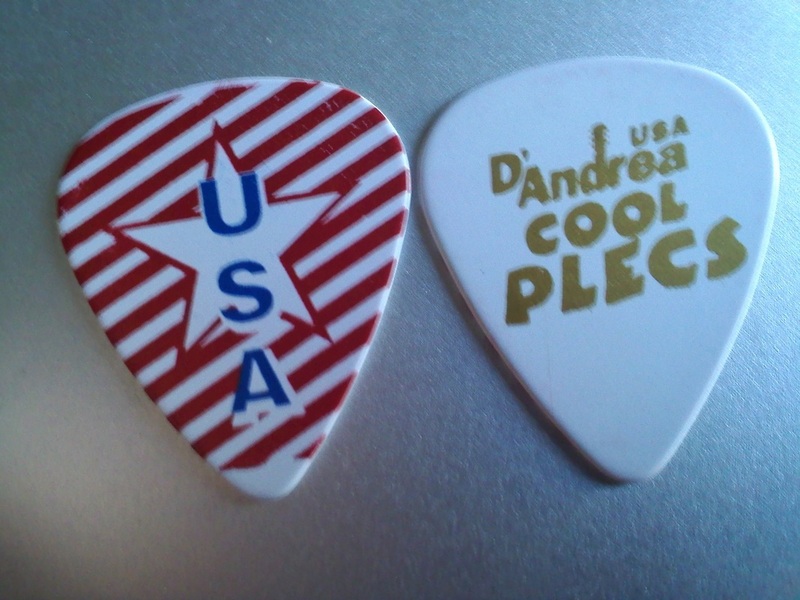 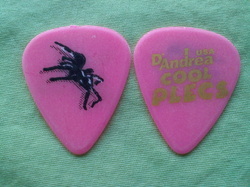 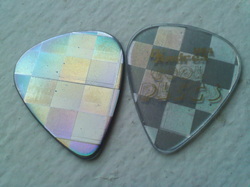 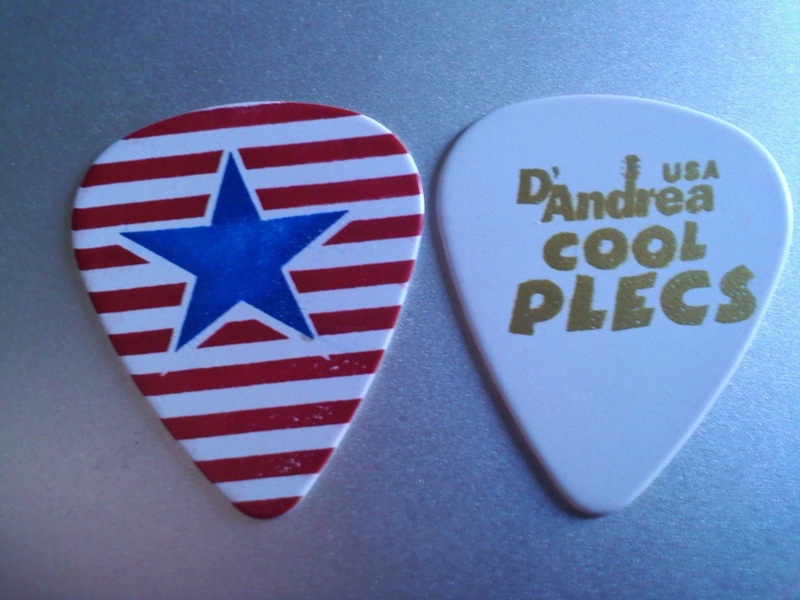 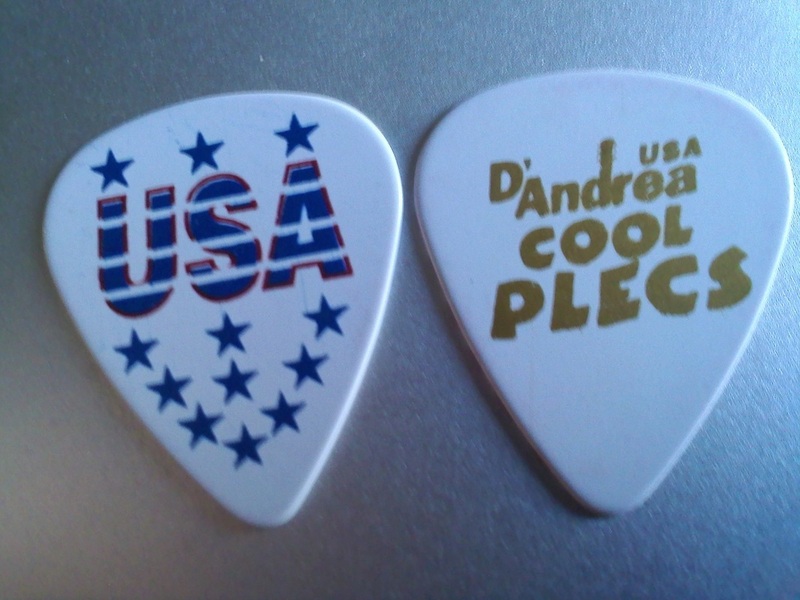 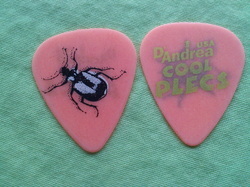 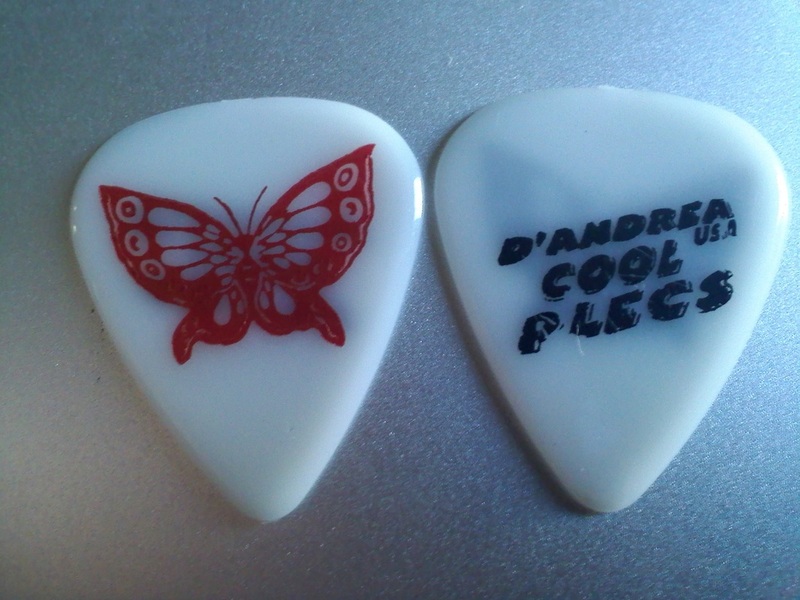 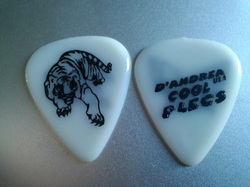 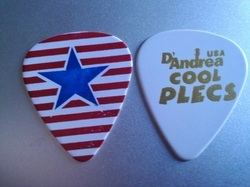 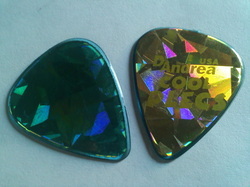 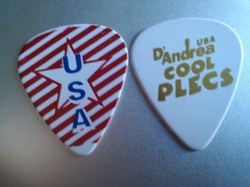 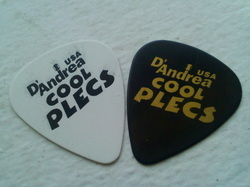 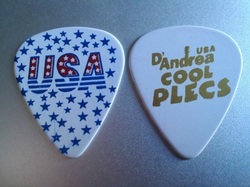 D'Andrea 'World Peace' & 'Peace Now' purple guitar picks. 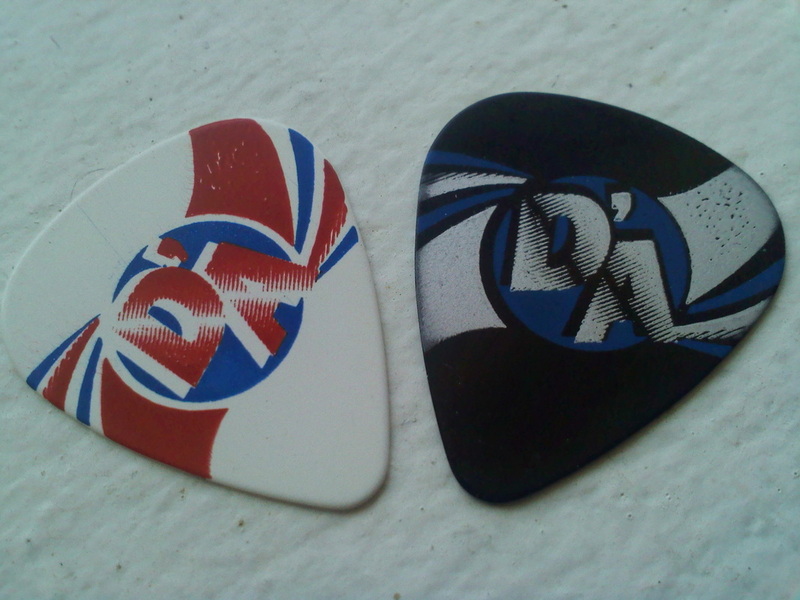 California Graphics black & white 'Waves"
I purchased these from a UK seller who said they were discontinued D'Andrea picks. 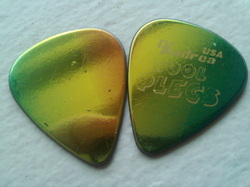 Not 100% sure they are or not. 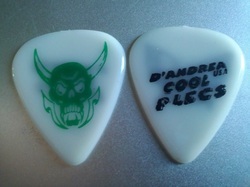 Any info regarding these would be GREATLY appreciated!! 'Tribal'-purple & black, red & black, and black. Lower right corner of display tray showing that GORGEOUS D'A Logo!! Several of the picks seen here in this assortment fit into the above categories. 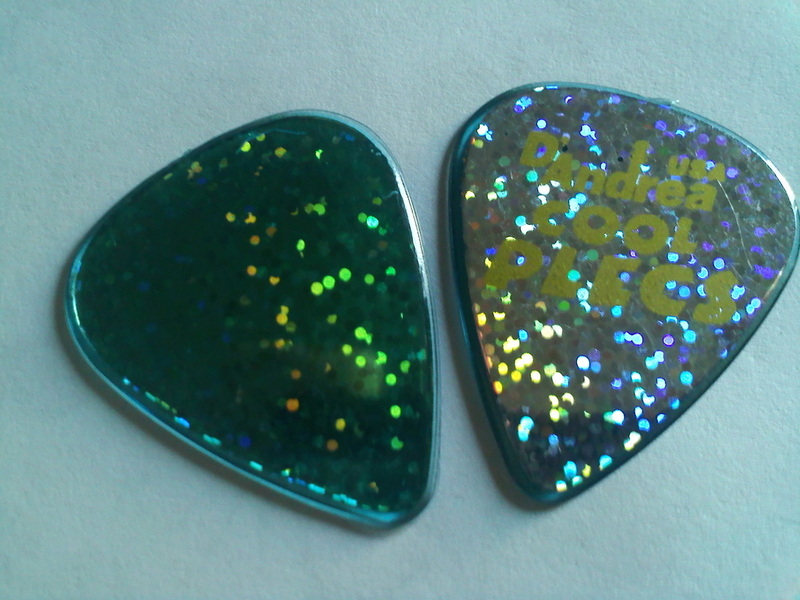 I decided to display them here, instead, to show the little 'jewels' that were included in this counter tray display.